According to the latest HSE figures, there were 25 fatal falls from height in 2016-17, down from 37 the previous year, representing the lowest number of deaths due to falls on record. The statistics show just how far the UK has gone in tackling the number one industry hazard, with falls from height now no longer the main cause of fatal accidents at work. The reduction is testament to the high level of maturity that occupational safety has reached in the UK. One reason for this remarkable improvement is that education and training have helped raise awareness of the risks that working at height presents. With safety training now being integrated into vocational education, the younger generations of workers entering the industry are demanding higher standards from their employers and the protection they are given. This seems to be corroborated by the HSE’s finding that fatal injury rates are at their lowest in the 16-34 age group. Another important consideration is the role of legislation. 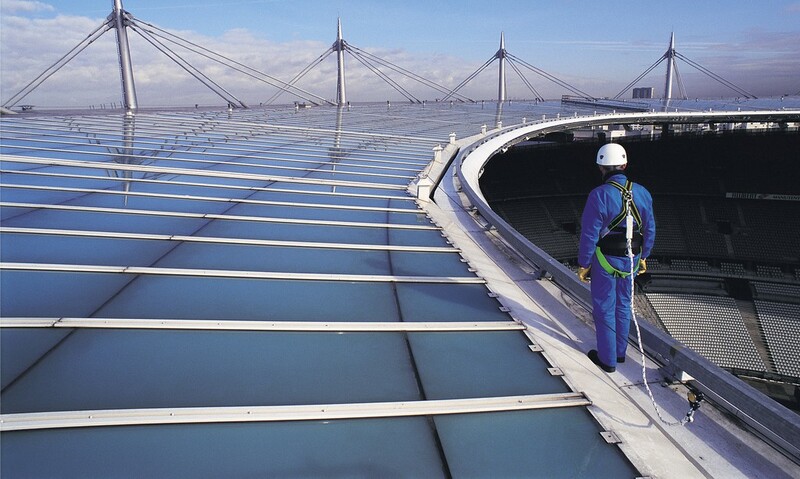 Over the last decade, the Work at Height Regulations 2005 have helped reinforce the importance of providing workers with appropriate training and with the right level of protection, improving safety practices at height. As a result, there has been steady decline in falls from height and this trend will hopefully continue in years to come. That said, there is still room for improvement. One of the key challenges now is how to protect an ageing workforce that, as the HSE suggests, seems to be more prone to accidents than its younger counterparts. We also need to protect lone workers more effectively. The fatal injury rates for the self-employed, who are more likely to operate alone, is more than double that of employees. Especially in construction, which accounts for nearly a third of all the self-employed who suffered fatal injuries, it is not uncommon for roofers or other contractors to operate either alone or in small teams where often no one is trained to rescue them in case of fall. Another important challenge is protecting workers operating near edges at a time when the solar industry is expanding and more and more workers may, at some point, be at risk of falling over a roof edge. For those working in other sectors such as construction, daily tasks such as the installation of collective protective measures, including guardrails, working platforms or nets, can also present hazards unless appropriate safety planning is in place. Investing in continuous training while integrating personal and collective protection can both play a key role in addressing these challenges. The fact that systemised and easy-to-install edge protection solutions are gradually replacing more traditional – and arguably not as safe – scaffolding tubes is encouraging, but there is more to be done. There is an opportunity for manufacturers of PPE to use R&D to design products that are more ergonomic, comfortable to wear and easy to use, thus encouraging worker uptake, especially among older workers. New legislation can also play an important role in improving PPE quality. The revision of the current EN360 standard – set to come into application in 2018 – will force PPE manufacturers to edge-test any fall arrester to be used in horizontal applications. This change in standards will give safety managers and workers operating near edges further assurance that the PPE they are using is entirely fit for purpose. Having a rescue plan in place is also crucial, not only to prevent falls, but also to tackle the risks that can arise when a fall occurs, particularly for those working alone. For example, a worker hanging for prolonged periods of time following a fall arrest is at risk of suffering a ‘suspension trauma’ (loss of consciousness due to pooling of blood in the legs), which can be extremely dangerous. New ‘connected’ technology, such as fall detection and alarm systems that automatically notify first responders in case of emergencies such as ‘man down’ scenarios can offer new opportunity to give lone workers they level of protection they need. Clearly, training combined with new legislation and technology will all continue to play a key role in driving continuous improvement in safety at height. For manufacturers of PPE, there is a unique opportunity to reassess fall protection and take it to the next level, giving safety managers and workers the confidence that, even if the worse should happen, there is a level of redundancy built into the products that will help keep them protected while working near edges.